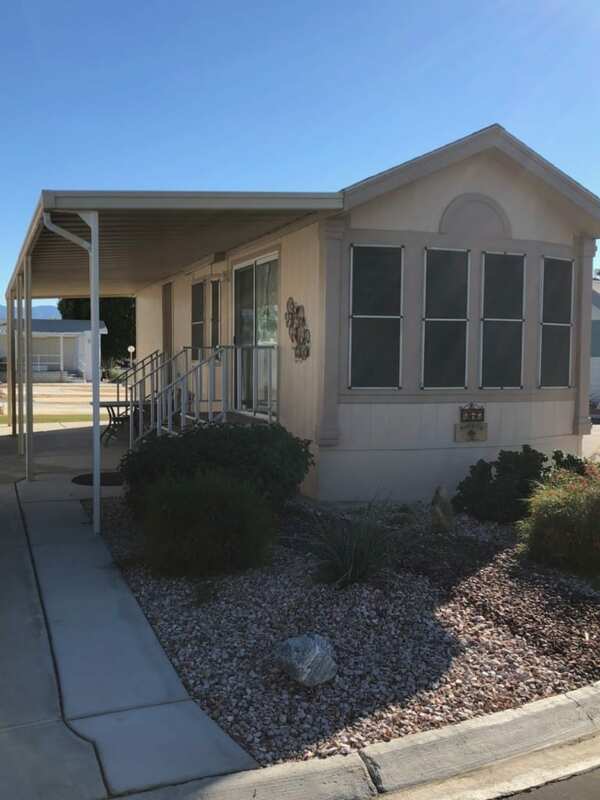 Located in the beautiful community of Desert Aire resort, an over 55, pet free, 9 month gated park. 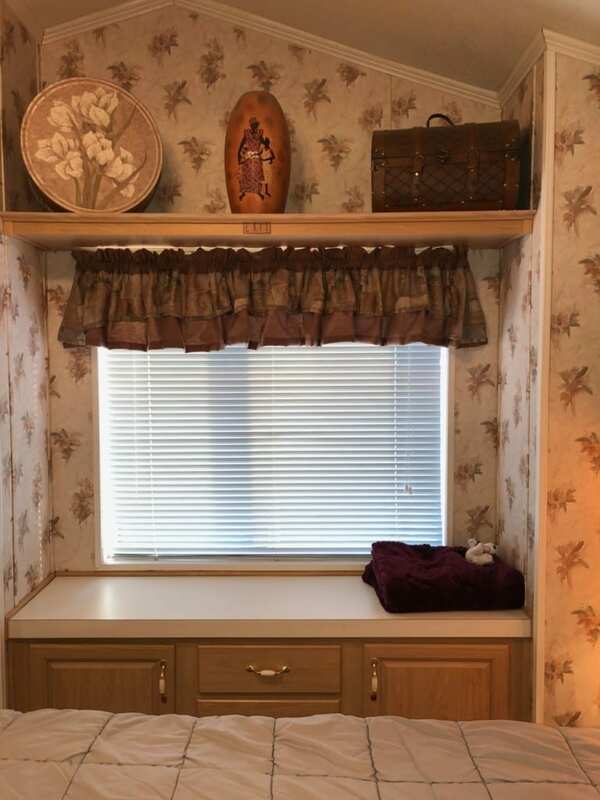 Desert Aire is a community consisting of RV lots and 400 square foot park models. This park model has been well cared for and shows pride of ownership. 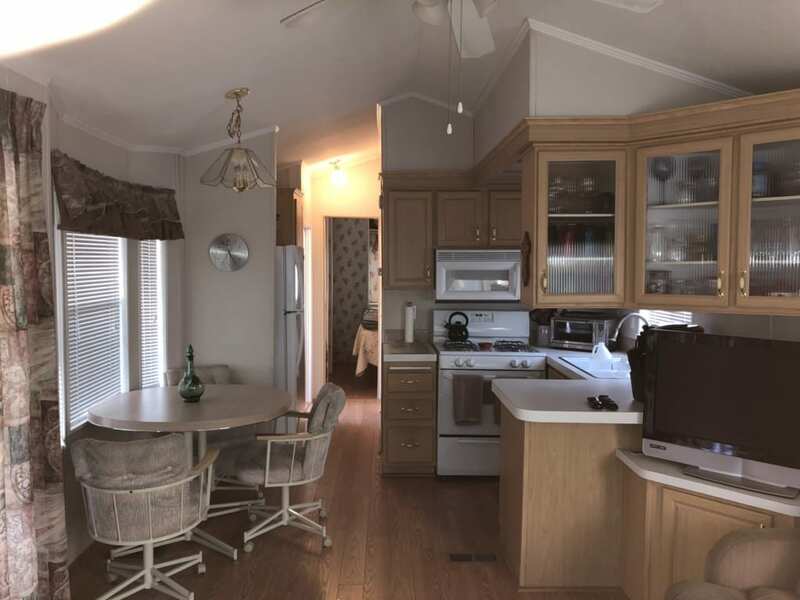 You will love the new laminate flooring and the open feel with tall ceilings and lots of natural light. 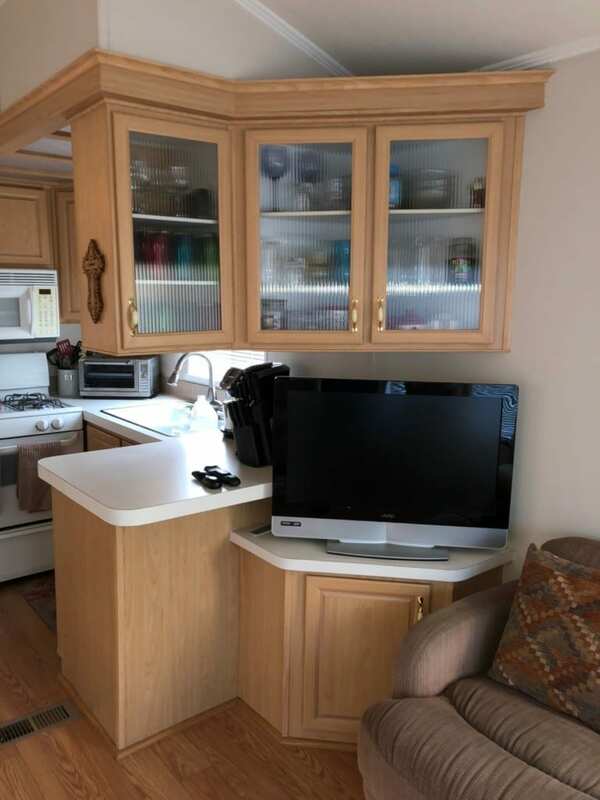 The kitchen has a full size range, built in microwave and a new full size refrigerator. 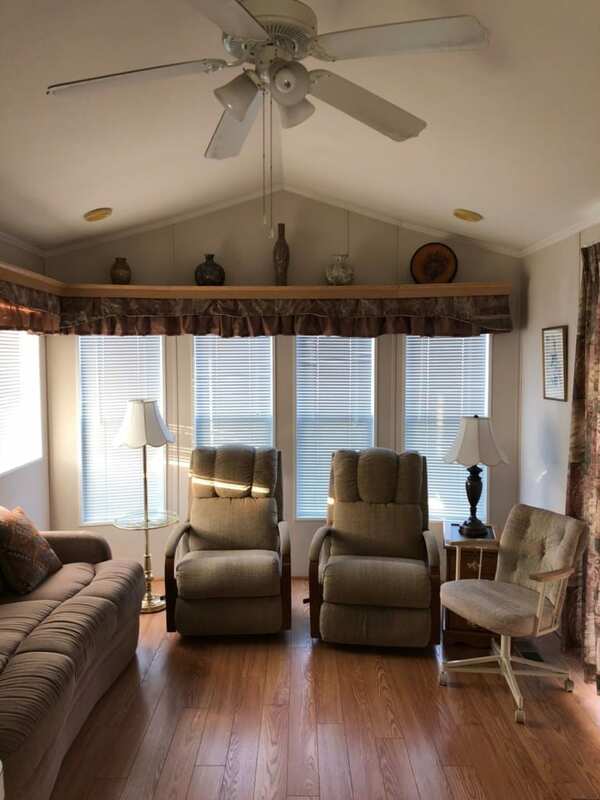 There are ceiling fans in the living room and master bedroom. 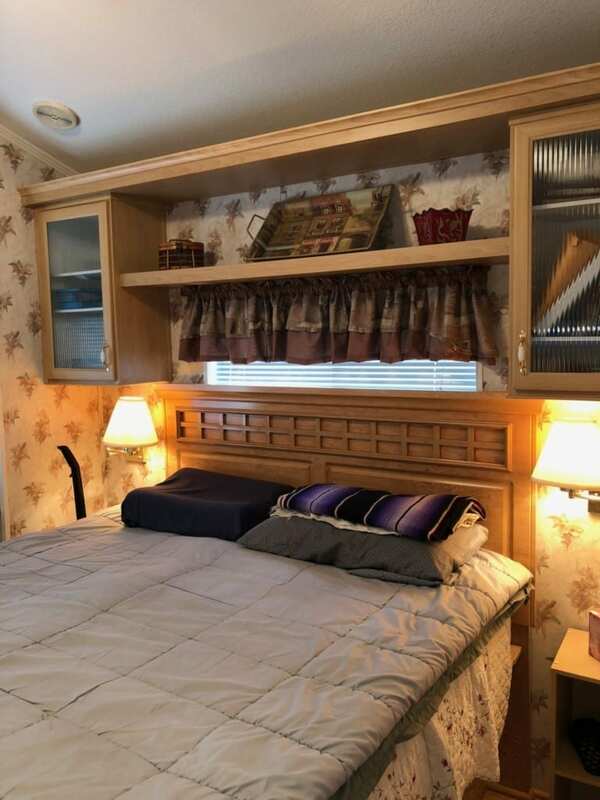 There is plenty of storage in the master bedroom with large closets, room for an additional TV and built in storage under the queen size bed. 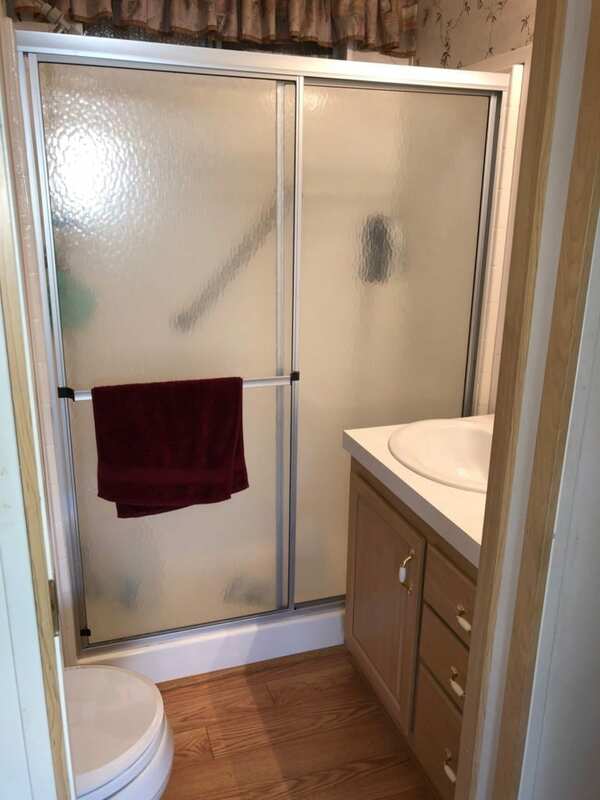 The bathroom is roomy with a walk in shower. 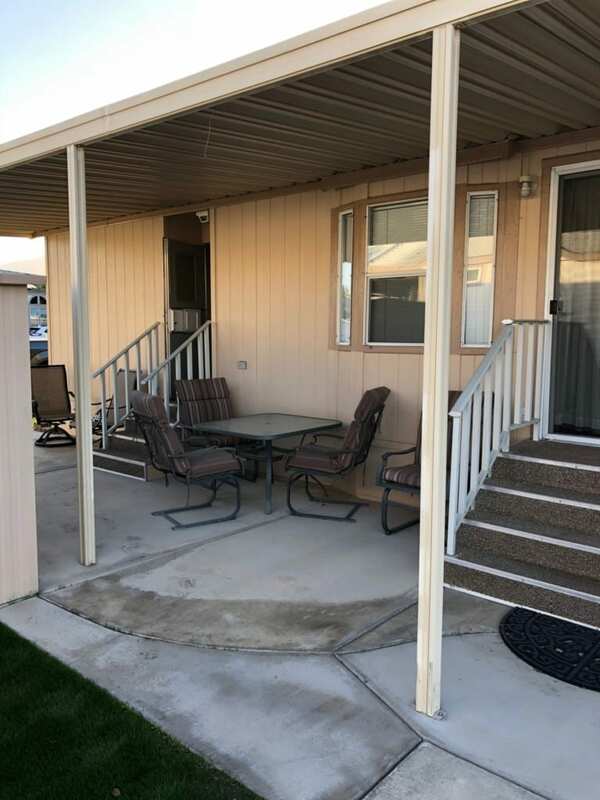 Outside the patio has plenty of room to relax with nice patio furniture, BBQ, a large storage shed for storing things or use as an outside work shop. The driveway has been widened the exterior of the park model was painted just two years ago. All furnishings inside and out are included in the price. This seller is motivated, so make an offer. REDUCED – Asking price is $67,000 or any reasonable offer!!! Contact Mark Monaco to schedule an appointment to see this park model.